A few months ago, I first heard the term hollow bone. A colleague at Healing Warriors, who is a shaman, suggested I practice being a hollow bone when working with our veteran clients. I didn’t understand what she meant, but her words dropped into my awareness like the beat of a drum. So, of course, I googled it. I discovered that the concept of hollow bone is central to shamanic practice. I haven’t formally studied shamanism, but in the last few years, have been drawn to learn aspects of it from different teachers. It calls to me at a deep level. According to Fool’s Crow, a revered Lakota holy man, you must become like a "hollow bone" to be a great healer. He believed that to become a conduit for the source of all creation fulfills the destiny of the human spirit: to sustain the order of existence. I found another description of hollow bone that really clicked with me from Christina Pratt, a modern practicing shaman. Her audio blog Energy Velcro and the Hollow Bone is worth a listen. Pratt compares the concept of a hollow bone to Velcro – a product that most of us are very familiar with. 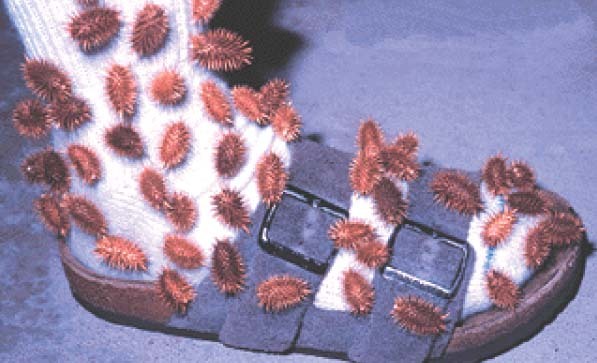 Velcro was developed to mimic the way burrs stick to an animal’s fur or a human hiker’s sock. 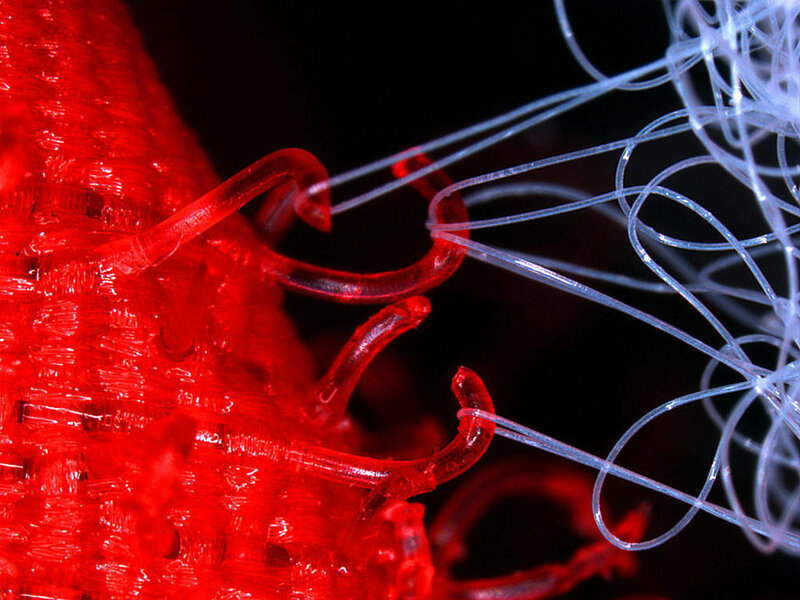 Velcro has two parts: loops and hooks. In Pratt’s analogy, the loops live inside each of us. Within a loop, is trapped a tiny aspect of ourselves; fears, perceived limitations, self-defeating habits, or the stories we carry about reality. The loop is locked outside of time because it is stuck in an unresolved situation. For example, when I was in 7th grade, my teacher, Mr. Peglow, asked me to stay after class. After everyone else left, he proceeded to tell me what a bad person I was, and how everyone hated me. I remember him telling me that one of my classmates wanted to scratch my eyes out. I was devastated, and never figured out what provoked his attack on me. My 7th-grader got stuck in a loop. The hooks are the day-to-day interactions that latch onto our loops and re-trigger the trauma. Hooks are everywhere. A hook can be anything, just like you can pick up a burr in your sock going for a walk. For me, whenever someone in authority asks to talk to me, my first reaction is “Uh oh, what have I done wrong, and how do I defend myself?” My heart beats faster and I want to run. I like the Velcro analogy because it makes clear that we have two separate tasks before us, if we want to become free. We must first clear off the burrs or hooks. That’s the relatively easy part. The deeper work is to go within, and resolve and release the aspect of our self that has been trapped inside the many loops. Only then can we go about the business of daily life without being constantly snared by our past. Only then, can we aspire to become a hollow bone. How do we find our inner loops? It’s a tricky business because the loops tend to be hidden from our conscious awareness. I had shrugged off the incident with my teacher and conveniently forgot about it. I didn’t realize my 7th-grade self was trapped in a loop until I had a dream. In my dream, I defended myself against Mr. Peglow in a way that I hadn’t done when I was 12 years old. I rescued my younger self. It was violent and bloody. And, I set a bit of my spirit free. The wise teachers say it takes diligent practice, and perhaps many lifetimes, to become a hollow bone. Invite your dream self to help you.